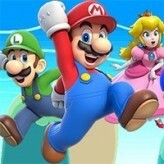 Step inside the 2D world while controlling 3D Mario in this fun and highly addicting Mario title! 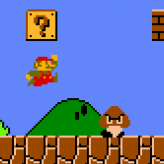 Collect all coins and unlock all secrets in New Super Mario Bros.! Will you be able to reach the end while stomping all the enemies along the way? Good luck and have fun! 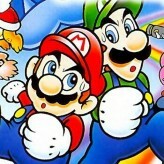 New Super Mario Bros. is a popular platformer video game released back in 2006 for the Nintendo DS handheld gaming system. The game features 8 amazing world, each with their own unique theme. Each world features 10 available levels where your goal is to simply reach the black flag at the end of every level. Will you be able to help Mario rescue Princess Peach from the hands of Bowser Jr. and his father Bowser? There have been 120,314 plays and 1439 likes from 1791 votes (81%) since 11/10/2017. 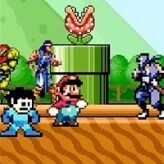 You are currently playing New Super Mario Bros. game for free on Arcade Spot. It is a single game out of a variety of games that you can play on Arcade Spot. 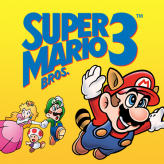 Play more games like New Super Mario Bros. in the Adventure, Arcade, Emulator, Mario, Nintendo DS, and Platform gaming categories. This game has a rating of 81 out of 100 based on 1791 user ratings. If you enjoyed playing the game, give it a thumbs up. Free Online Games and Arcade Games are added every day. Arcade Spot will bring you the best games without downloading and a fun online gaming experience on the internet.